Jennyfer Michiyo come back again to make March giveaway..
and this giveaway open for Indonesia Residence only..
that means just only Indonesian who can join. ah, feel so bad.. maybe next time jennyfer can make internationally giveaway :)..
for March giveaway, Jennyfer Michiyo will pick three peoples as the winner..
because jennyfer collaboration with famous beauty market in Indonesia..
What is the Prizes for giveaway? Which Prizes i want for giveaway? honestly all prizes for giveaway is so absolutely gorgeous ..
but i have to pick one..
Why I want NAKED 3 as Giveaway? 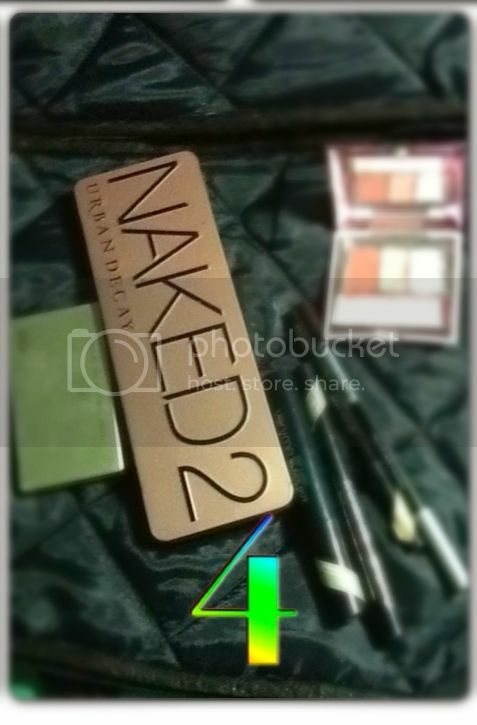 even i don't have much naked collection..
but i really falling in love with Naked 2..
the colour is so natural and match with my skin..
and if i can get naked 3 from this giveaway, so i can add more my naked collection..
so i can collection naked 2 and naked 3.
ahh i wish i can win NAKED 3 .. :D that would made my day ..
and make sure you are read carefully all the rules for giveaway..
and don't forget to join this giveaway .. The naked palettes are raved about by everyone and definitely seem like the most exciting item included in the giveaway. I appreciate jennyfer for giving it away and hope someone deserving won! I wish this giveaway package should be for non Indonesians too. But this is a good chance for Indonesian to grab this offer.